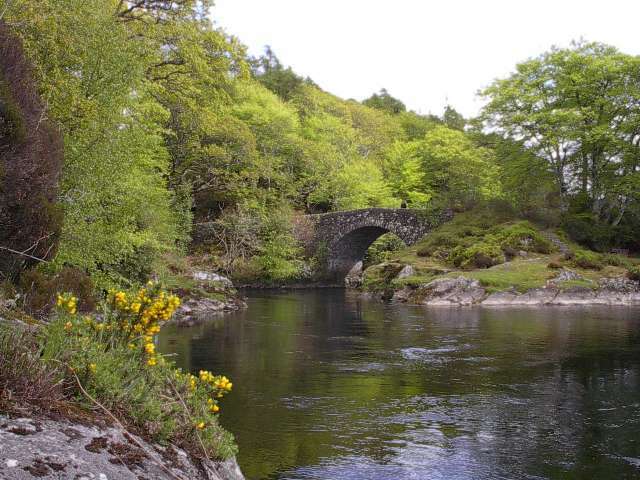 Ideal Location for Fishing & Walking Holidays. 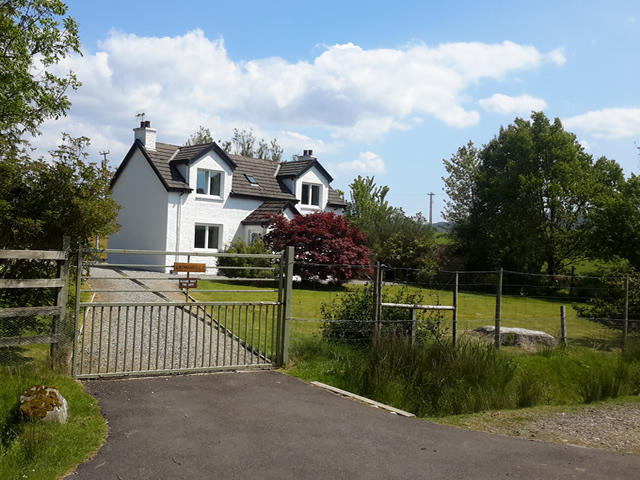 Rowanhill is an attractive traditionally stone built and rough cast two-storey self catering cottage located down a 'no through road' beside the River Shiel and Loch Shiel near Acharacle, Ardnamurchan, Argyll on the West Coast of Scotland. Rowanhill has three twin bedrooms, sleeping up to 6 people. It also has a large garden. The house has a fixed-line telephone for incoming calls only. Mobile phone coverage is good. Rowanhill has Broadband connection and is Wi-Fi enabled. Rowanhill lies beside the very minor road serving the crofting area of Moss about two miles from the centre of the thriving village of Acharacle which is served by two hotels, a post office and tearoom, an excellent village store with all provisions, a bakery, fish and chip shop, and an Outdoors shop. 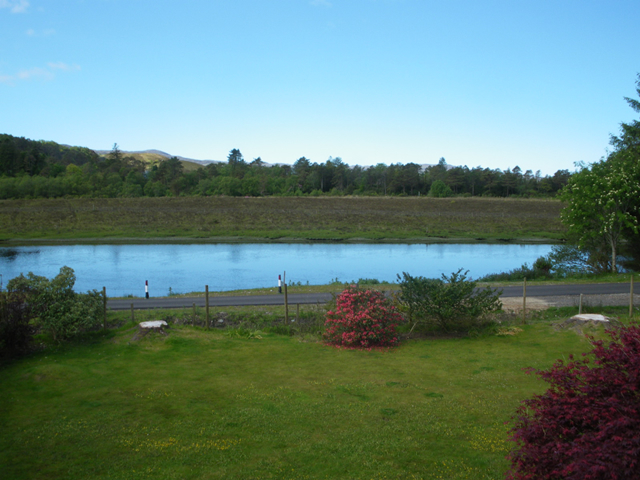 Rowanhill cottage is ideally placed for guests to enjoy fishing on Loch Shiel and in the River Shiel, also to enjoy the many other fieldsports in Lochaber and Ardnamurchan. 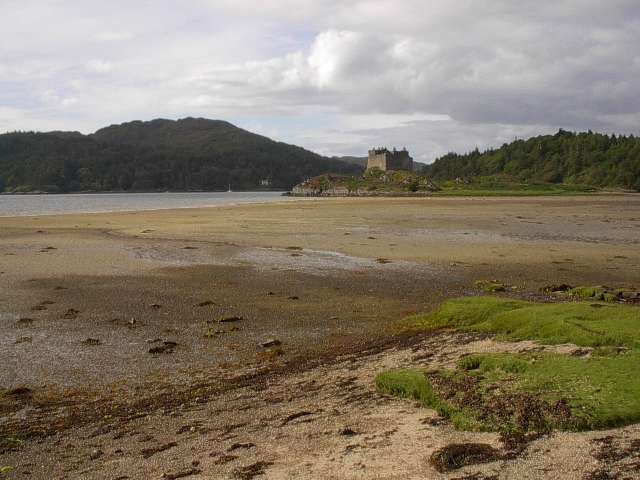 The sandy beaches at Ardtoe are about 30 minutes drive and the beach at Dorlin with the commanding presence of Castle Tioram is only 10 minutes drive from Rowanhill Cottage. Castle Tioram is the fourteenth century stronghold of the MacDonalds of Clanranald with a wealth of Scottish history behind its crumbling ramparts burnt in the Jacobite Rising of 1715. From Baden, Germany, July / August 2014. "We went to Loch Ness. Yes we did see Nessie. The weather was very mixed and this lovely cottage held us warm and cosy through the rainy days"
We enjoyed seeing an amazing variety of wildlife: pine martens, a pair of white-tailed sea eagles, a wild cat, a pair of red-breasted divers, and a golden eagle. All the neighbours have been very friendly. The walking is fantastic." "Loved the cottage, very comfortable. Lots of walks to beaches and mountains." 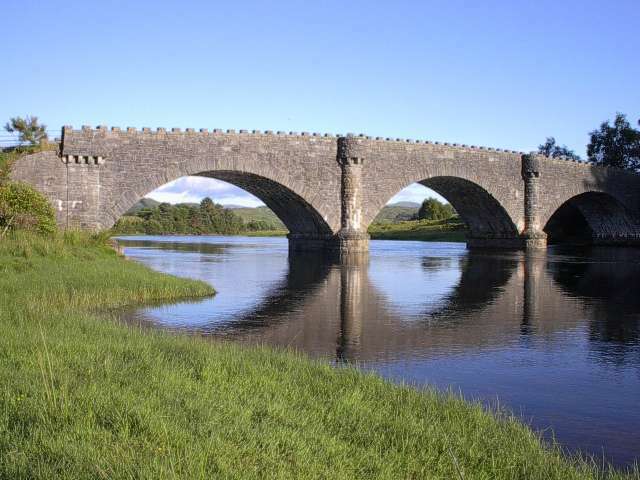 "The area is fab for walking and the dog has had a top time too." "Really lovely holiday, very peaceful location. Beautiful scenery. Another happy pooch unwilling to go home." "Blue skies and sun from 4.00am to 11.00pm all week. 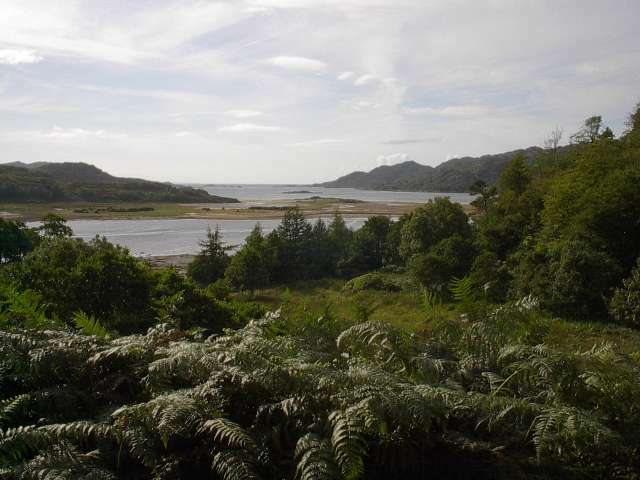 golfing at Traigh, cycling to Silver Sands, walk the Silver Walk and Castle Tioram, canoeing in Loch Shiel to the Green Isle"
"So much to see and do. It was the wife's first visit to this part of Scotland and now she does not want to go home - we'll be back"
"Another wonderful visit. Rowanhill just perfect. Peaceful, relaxing, all the wonders of nature around." "Excellent accommodation, everything we needed was here. Surrounding walks are great, the dogs loved the beach at Kentra Bay." "The Penmans came from Canada and said Rowanhill was worthy of 5 stars. All loved this house and did not want to leave. We all leave with happy hearts and a feeling we were at home." "A lovely cottage in a beautiful location!" "Fantastic house in a good central location. Wonderful, even in the rain." "The eagles were all around ( Golden and White Tailed Eagles )"
"Another great fishing holiday had by all even those who do not fish". "Most memorable excellent accomodation with all ''mod-cons''. We all love it here and shall return". "Lovely comfortable house for a winter hiking break".
" An ideal place to explore the local area and the beauties of Ardnamurchan and Mull where we were lucky enough to see a Golden Eagle". "We really appreciated having wi-fi for checking weather forecasts, etc. Elk the dog is too depressed to leave. We had to lift her into the car!". "Many thanks for the use of Rowanhill. Its comforts were again much appreciated. The garden was just at its best, and the surrounding countryside looking fantastic - a really good holiday". 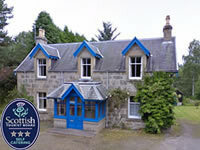 "We had a fantastic week at Rowanhill Cottage. The place was clean and tidy and in such a beautiful location. The fishing wasn't the best due to the sun splitting the sky for the full week but plenty of trout were caught and we also saw some magnificent wildlife including otters and sea eagles. Great place and great accommodation. Hoping to be back again next year". "We had a lovely holiday at Rowanhill and hope to return again in the not too distant future. 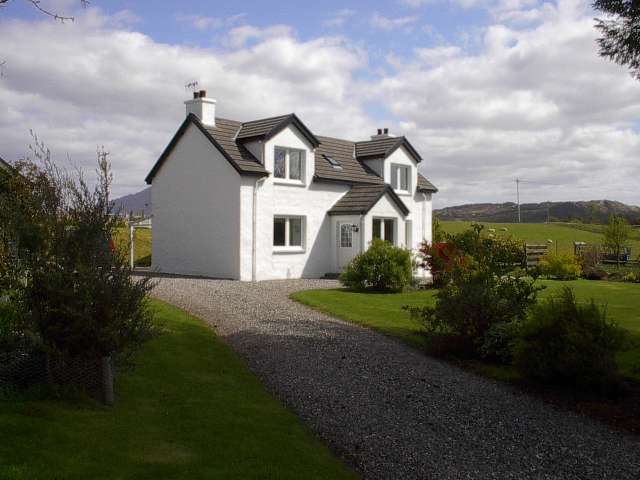 The cottage was really comfortable and so well equipped - very homely. We explored much of the area, and although the weather was mixed, were able to take in the beautiful landscapes and scenery of Ardnamurchan and it's surroundings. We would love to visit again in a different season". Craignay, an attractive traditionally-built stone house in Dulnain Bridge, near Aviemore, in the Cairngorms National Park which has self catering accommodation for eight people.